STARKVILLE, Miss. 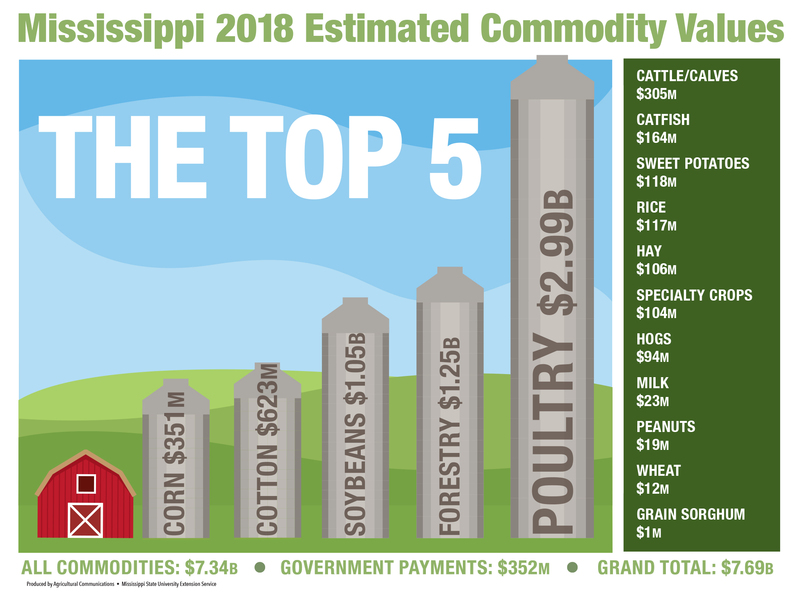 -- Agriculture was a $7.7 billion industry in Mississippi this year, exceeding the total set in 2017 despite declines in the estimated value of row crops, timber, catfish and livestock. The state's largest agricultural commodity, poultry, is responsible for pushing the overall value above $7.5 billion for the second straight year, bringing in nearly $3 billion by itself. 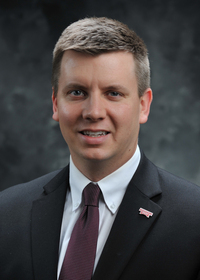 "The strong poultry numbers made up for some lower production values in other commodities," said Josh Maples, an agricultural economist with the Mississippi State University Extension Service. "Poultry prices have been lower in recent months, but prices during the first half of 2018 were much higher than during the first half of 2017, and egg prices have been significantly higher than last year. Included in the overall $7.7 billion total is an estimated $352 million in government payments -- the largest amount of federal assistance Mississippi producers have seen since 2009. These payments include protection against price and revenue declines. One type of the assistance was for growers affected by a trade standoff between the U.S. and China. This summer, China enacted tariffs on a long list of U.S. goods, including soybeans, corn, cotton, rice and wheat, in response to the U.S. ordering tariffs on imports from China.